Our 2 hour Kalesa Tour ended in Plaza Salcedo right in front of St. Paul Cathedral. We paid Php300 and had a quick dinner at McDonalds, just beside the cathedral. There are also a number of good local restaurants you can choose from in Vigan such as Cafe Leona, Epectos Bar and Grill, Cindy's, Hambre, Tessie's, Uno Grille and Los Majitos. And yes aside from McDonalds, there's also Jollibee and Greenwich. We left off and made our way to Partas Terminal heading to Laoag. It was an hour and a half trip and paid Php121 for the bus ticket (air conditioned). From Partas Terminal in Laoag, we quickly rode a tricycle to take us to the terminal bus going to Pagudpud. The ticket cost a cheaper Php60 but unlike Partas, the bus we rode was just ordinary and crampy. But heck, we enjoyed the 2 hour trip anyway with gorgeous views to feast on! 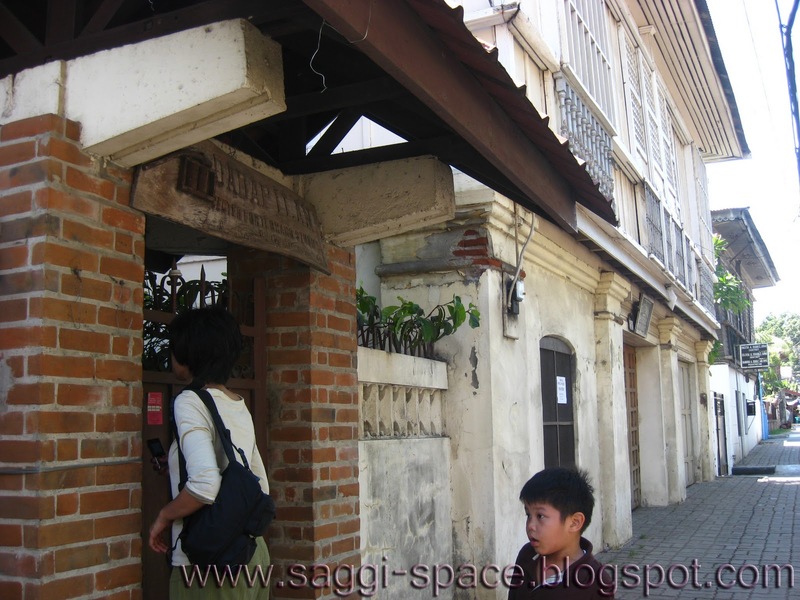 Our trip going from a historical tour in Vigan was such an "amazing race" experience. We moved swiftly and wasted no time dashing up and down the buses and tricycles of Vigan and Laoag, all while carrying huge backpacks full of bottles of strawberry jams we bought from Baguio! Yup, I know stressful! The whole amazing race drama made us want to get a day of full body massage. Just after an hour on the road, I started seeing beautiful stretches of powdery sand, sparkling blue waters, and vibrant orange boats. I immediately transfered to a window seat to capture those gorgeous views. And then minutes after, we saw a line of towering Bangui windmills. The last drop off point was at a building after the municipal hall. From there we rode 2 tricycles at Php40 each (tricycles here like those in Laoag are pretty small!) and stopped by at Rlyns Homestay. Since we'll be leaving early the next day, we opted to just stay at a homestay/transcient house located right in front of Saud Public Beach. When all things are set, I immediately went straight to beach to capture the glorious sunset in Pagudpod beach. Since the beach in front of our lodging is not owned by any private resort, the entrance fee is a cheap Php10. view more photos at The Walking Tripod.